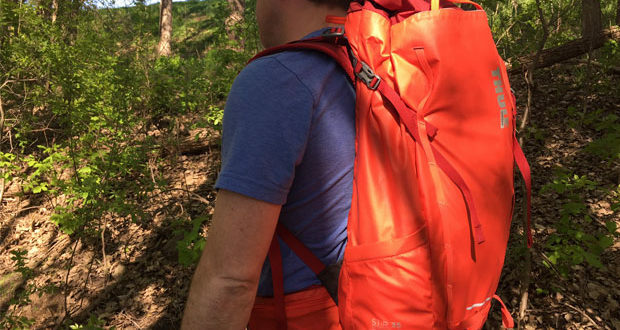 A great day hiking pack that's built for the weather. 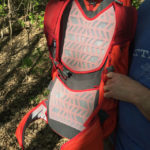 Summary : Thule has piled this day hiking pack full of features that'll make your time on the trail comfortable and convenient. 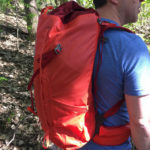 A great pack for anyone looking to upgrade. There’s a progression that happens with any piece of truly functional gear. What once “cut the cake” is often replaced with a precise tool designed specifically for the job at hand. Over the years, I’ve replaced street shoes with hiking boots, gas station sunglasses with polarized, and one-use water bottles with stainless. The more you understand how you use a product, the easier it is to find product attributes that align with your lifestyle. 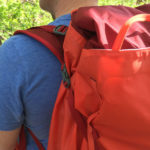 For years, I’ve carried a basic hiking backpack. Basic in the sense that it’s designed for a general purpose. 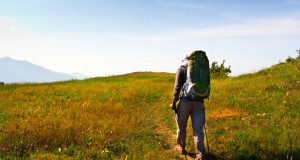 It kept things fairly organized, but when packing for a weekend on the trail – it often fell short. It didn’t keep anything dry, and it definitely didn’t offer me any sort of support for an extended hike, often leaving my back and shoulders aching. When the good folks from Thule asked me to try out their Stir 35L Backpack, I was a bit reluctant to give up my old back companion – but after spending some time with it, I believe that it was definitely time to make the transition to a more functional piece of gear. Here’s my review. The Thule Stir 35L Men’s Hiking Pack is the largest in the Stir series of packs, which include a 15L, 20L, and the granddaddy 35L. It’s built from Elastin coated nylon, which was already an upgrade from my heavy, more traditional nylon pack. Weighing in at just 2.2lbs, the Thule Stir 35L didn’t add any real weight to my rig, allowing me to pack a windbreaker, Bluetooth speaker, water bottle, and additional necessities without a problem. 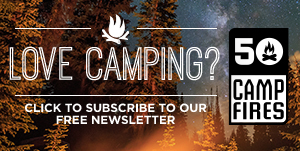 There are some things that you didn’t know you needed…until you did. I can’t believe that I’ve made it this far into my adult life without a rain guard. Thule calls it their StormGuard, and by combining a partial rain cover – along with a waterproof bottom liner, they’ve created a lightweight bag that’s fully weather proofed. 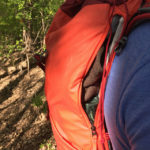 I ran into some spring showers this past weekend on the trail, and the system kept my gear from becoming a sopping pool in the bottom of my bag. Awesome. 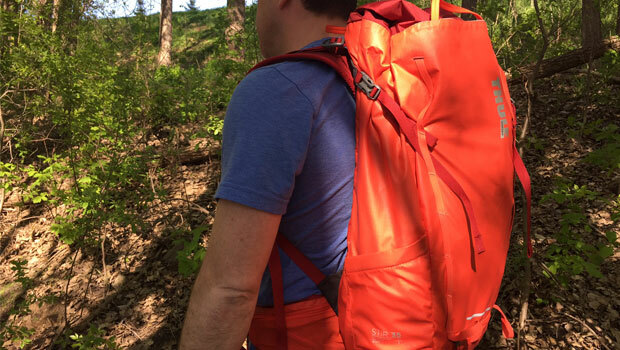 There are a lot of packs that feature a hip belt and sternum strap, but there are a handful of features that make the Thule Stir great. The ability to custom fit with 4” of adjustment, means that you don’t have to stick with the “off the shelf” feel any more. Again, a huge upgrade. If you’re trekking out of the woods, and into town, the hip belt actually removes from the pack – giving even more versatility. Sometimes it’s just the little things that really make a great piece of gear. 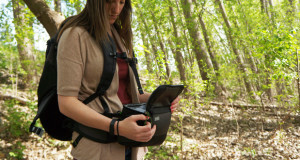 The Thule Stir features a stretch pocket on the front left chest strap, which is the perfect size to keep your cell phone accessible, without getting in your way. 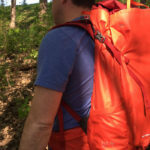 Want the flexibility to add a hydration system onto your pack? The Thule Stir has you covered there as well! 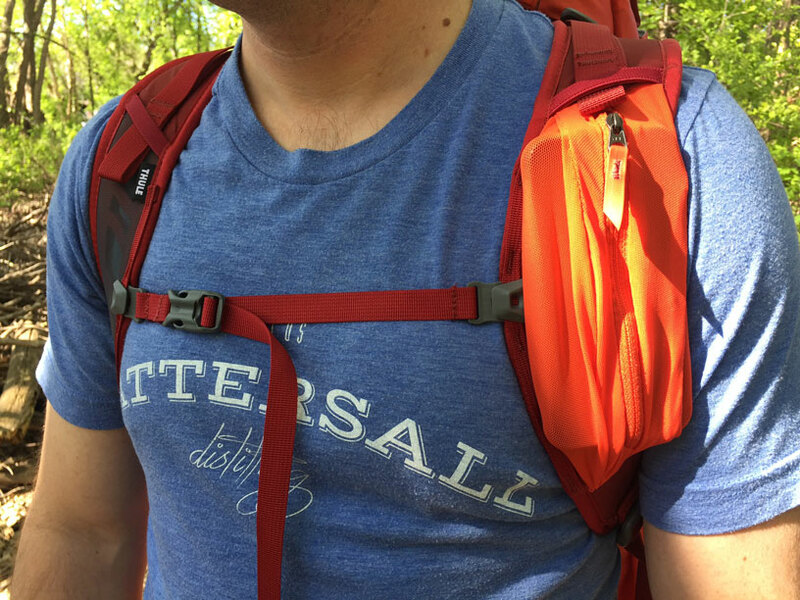 With through ports positioned to make sure that you don’t get dehydrated along the way. Along the right side of the pack, you’ll find a large side zipper. 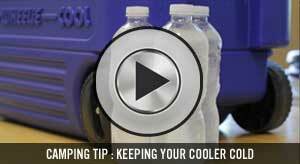 This opening allows for full access to the contents of the pack – all without the need to remove it from your back. 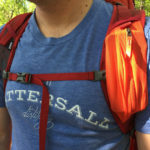 Hiking with kids, I kept a few snacks within arms reach – allowing us to keep moving. 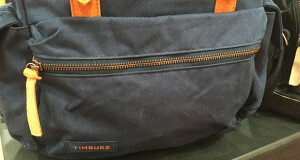 Inside the bag, a netted zipper pouch was the perfect size to store car keys and other traditional “pocket materials” safely – and again, keeping them out of the way. 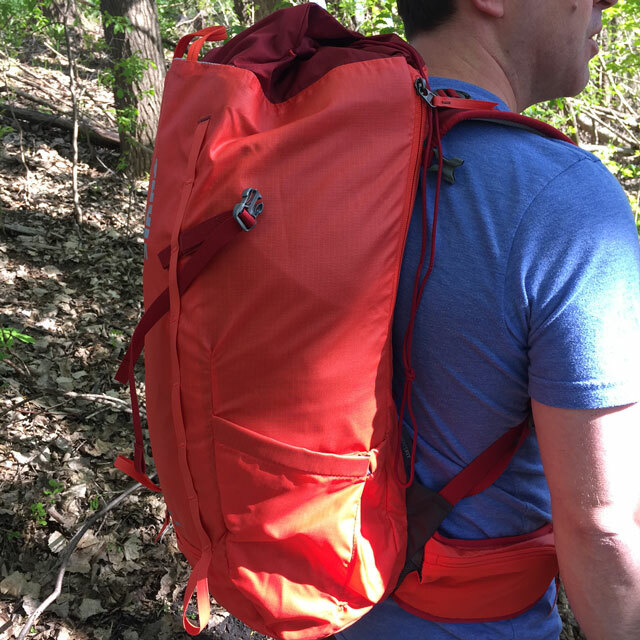 Overall this pack is beautifully built, and as I mentioned earlier – provided me with much needed back support while out for a day hike. Great pack.